TORONTO - The Greater Toronto Airports Authority ("GTAA") reported its financial and operating results for the three-month period ended March 31, 2018. Passenger activity increased substantially at 6.3 per cent, during the first quarter of 2018 as compared to the same period of 2017. This growth reflects increased aircraft load factor, flights on existing routes and larger aircraft, the economic strength of the Greater Toronto Region, and the role of Toronto Pearson International Airport as Canada's largest airport and North America's second busiest airport in terms of international passengers. 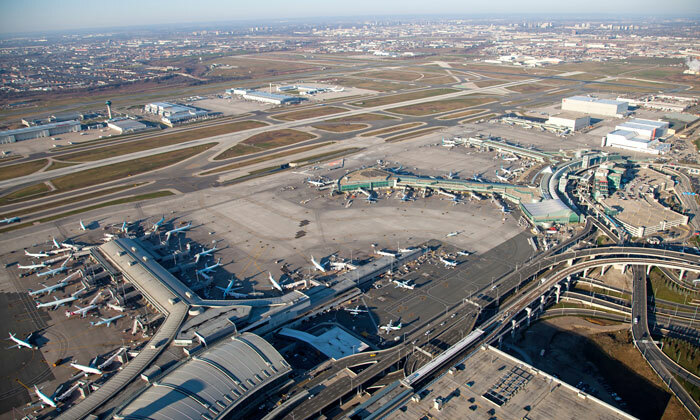 In the first three months of 2018, a total of 11.3 million passengers travelled through Toronto Pearson International Airport, an increase of approximately 680,000 passengers over the same period in 2017. Additional frequencies on existing routes, upgauging of average aircraft size on existing frequencies, and the addition of new routes by existing air carriers have driven passenger growth in the first quarter of 2018. During the three-month period ended March 31, 2018, passenger activity in the international sector increased by approximately 550,000 passengers reflecting 7.7 per cent growth and the domestic sector increased by approximately 130,000 passengers reflecting 3.6 per cent growth over the same period in 2017. "The strong passenger growth Toronto Pearson experienced in 2017 has continued into the first quarter of 2018, particularly with regard to international traffic," said Howard Eng, President and CEO of the GTAA. "To fully unlock the airport's potential to help Southern Ontario take flight, more efficient connections to, from and around the airport employment zone -the second-highest concentration of jobs in all of Canada- must be a priority. To this end, the GTAA and Metrolinx are partnering to study potential transit connections to Toronto Pearson's planned Regional Transit and Passenger Centre. This is a major step toward our goal of better connecting the region to itself and to the world, and in the process further driving prosperity across the Greater Toronto Area, Ontario and Canada at large." During the first quarter of 2018, the GTAA recorded a net loss of $16.9 million (adjusted net income of $9.2 million excluding the one-time adjustments), compared to net income of $7.7 million for the same period in 2017, a $1.5 million increase based on normalized earnings. The GTAA has reduced its gross debt per enplaned passenger and net debt per enplaned passenger by 4.5 per cent and 4.7 per cent to $267 and $247 over the same period in 2017, respectively. During the three months ended March 31, 2018, the GTAA reported total revenues of $348.6 million, representing an increase of $24.5 million from the same period in 2017. The continued growth in revenues was a reflection of strong passenger growth and increases in commercial revenues. During the first quarter of 2018, the GTAA's commercial revenues increased $14.5 million compared to 2017 to $116.4 million. The increase was due to the high passenger growth, the opening of 25 new retail stores, restaurant, and beverage establishments over the prior 12 months and to the rental revenues generated by the Airway Centre Inc.
Total expenses reported during the first quarter of 2018 for the GTAA were $365.5 million, representing an increase of $49.1 million over the same period in 2017. The Corporation has been increasing investments to support improved passenger and baggage flow in recent years. During the first quarter of 2018, the GTAA incurred higher expenditures related to the inclusion of the Airway Centre Inc.'s costs, increased snow removal costs and the continued investments in corporate-wide initiatives in support of the GTAA's vision to be the best airport in the world. The total increase of these mentioned items was $12.2 million in the first quarter of 2018 as compared to the same period in 2017. In the first quarter of 2018, the GTAA incurred operating costs to support government agencies of $8.9 million, an increase of $480,000 or 5.7 per cent over the same period in 2017. These included direct and indirect investments to the Canadian Air Transport Security Authority ("CATSA"), U.S. Customs and Border Protection ("USCBP") and Canada Border Services Agency ("CBSA") to enhance services. On February 7, 2018, the GTAA exercised its right to redeem all $522.0 million of the outstanding Series 2009-1 Medium Term Notes on March 29, 2018. As a result, the GTAA incurred an early retirement of debt charge of $28.7 million. Earnings before interest and financing costs and amortization ("EBITDA") during the three-month period ended March 31, 2018 were $157.1 million, representing an increase of 1.2 per cent over the same period of 2017. Earnings before interest and financing costs during the first quarter of 2018 were $88.7 million, representing a decrease of 2.0 per cent over the same period of 2017. Αναρτήθηκε από geop στις 7:17 π.μ.